Dance Victoria is launching their new season with Ballet BC’s Triple Bill program that includes three of the world’s most exciting choreographers and 14 finely trained ballet dancers. Presented to celebrate Ballet BC’s 30th anniversary, Dance Victoria is offering free admission to ticket buyers who are 30 years of age. 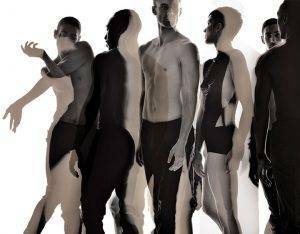 With performances on November 13 and 14, Ballet BC’s Triple Bill features riveting, explosive dance by international choreographers who are reshaping contemporary ballet. Stijn Celis’ new creation, premiering in Vancouver only a week before, opens the program. Celis is a Belgian choreographer and stage designer, notable for juxtaposing athletic dance with tender, poetic movement, and varied musical choices including pop, electronic, ethnic and classical. Solo Echo, by Kidd Pivot Artistic Director and Victoria’s own Crystal Pite, is a reaction to Mark Strand’s poem, Lines for Winter, and to two Brahms sonatas that have been touchstones in her creative life. Twenty Eight Thousand Waves, by Ballet BC’s resident choreographer, Cayetano Soto, combines a surging musical score with a metaphor of rushing waves against an oil rig, to create complex sculptures pushing through space in endless beginnings and transitions. If you are 30 and are interested in a free ticket to Triple Bill, contact the McPherson Box Office for your free ticket. Dance Victoria also runs a Pay Your Age program for youth and young adults aged 12 to 29 (as of the date of the performance). A limited number of Pay Your Age tickets are available for each performance in the season.